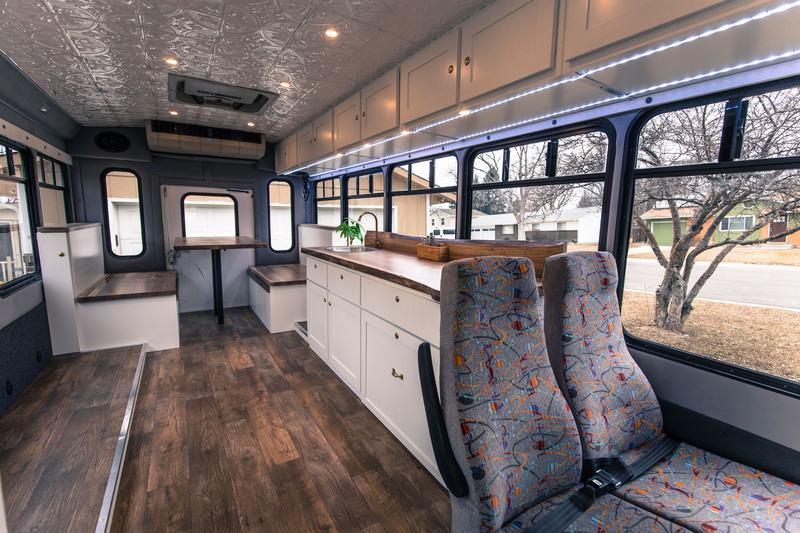 At Roaming Ingenuity, we custom build vans that fit your needs covering everything from custom camper conversions to purpose-built mobile showrooms. We work with all makes and models from full-size Sprinters to ultra-efficient Ford Connect vans. Drop us a line, we would love to discuss making your dream van a reality! 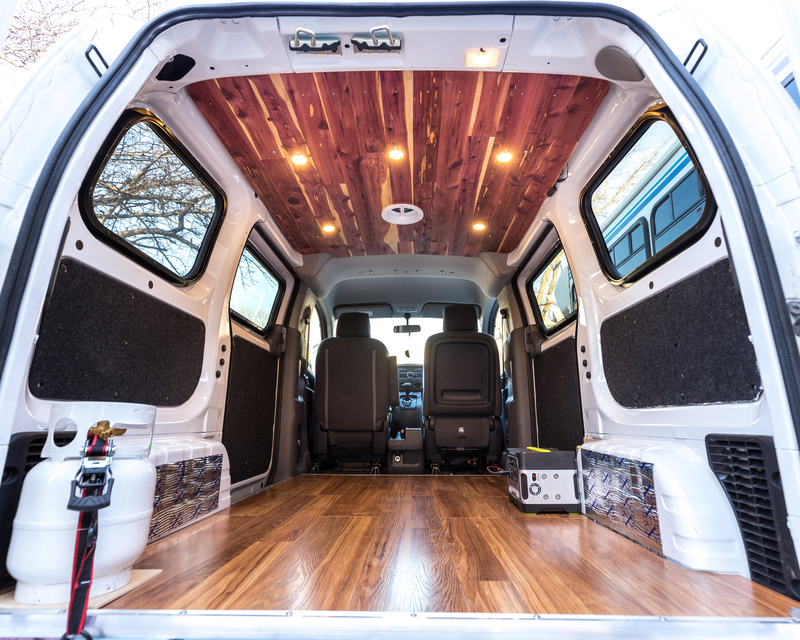 Basic bare bones up-fit on a Nissan NV200 van. This 2017 Sprinter 2wd 144wheel base camper is a concept model that we designed and built as a perfect adventure rig that is clean and simple on the eye, but loaded with high quality components. Plus, the modular design gives you the flexibility to change the interior layout for any adventure, carrying passengers or hauling cargo! Small sink and hand pump with clean and grey water storage. Basic mobile kitchen we built for a customer who travels a lot for work. He needed a way to store a small kitchen set with easy access that could also be quickly removed from the vehicle when not in use. 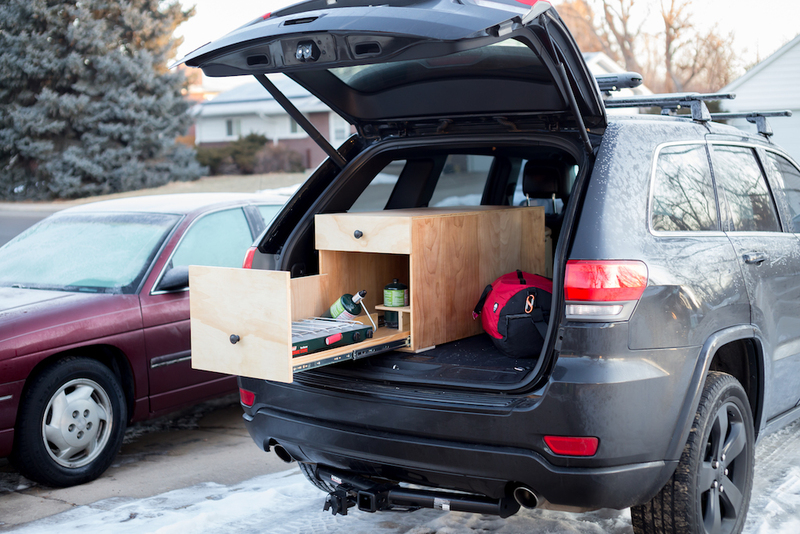 Bed platform and storage build in a Ford Freestyle. We love the freedom and adventure that a custom camper helps to facilitate and know that you will too!